Did you know that love has different languages? There are 5 love languages according to Dr. Gary Chapman, and if we were to express our love to children through their individual love languages, they feel much appreciated and become much kinder. The act of kindness is then reciprocated, bullying is reduced and a very effective learning environment is created in schools. What started as Dr. Chapman’s work and subsequent experiences as a counselor for married couples and his New York Times Bestselling book, “The Five Love Languages“, the applications of these 5 love languages have branched out to many areas where relationship building is of paramount importance, in the workplace and with children in schools and in homes. 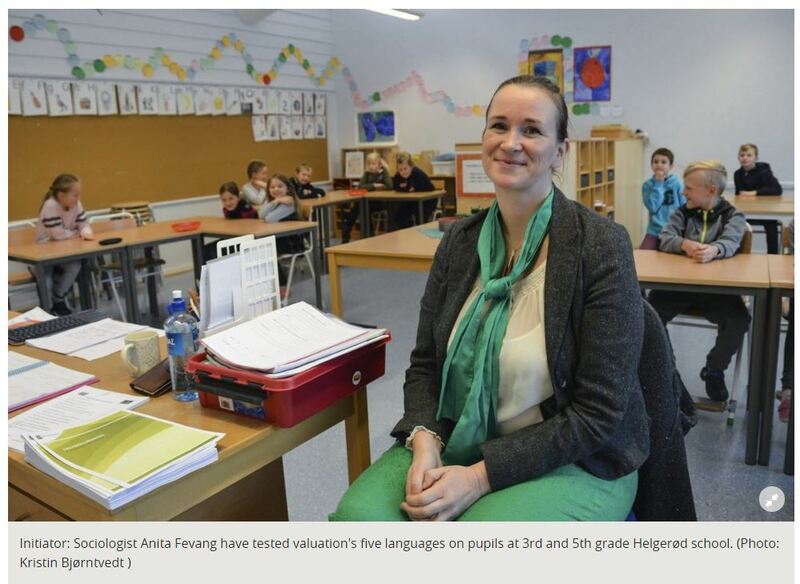 Anita Fevang, a sociologist who runs Jobbmotivert.no, had already seen the results from implementing the 5 languages of Appreciation in the workplace. The 5 languages of Appreciation in the workplace is the business version of “5 love languages”, the work that Dr. Gary Chapman and Dr. Paul White did together. Anita saw female employee absenteeism had drastically reduced after applying the practical steps of showing appreciation at the workplace, the training she received from the Appreciation at Work from Dr. Paul White. Inspired by the results, Anita wanted to implement these at schools and with children. This time, she applied the recommendations from the book, Discovering the 5 Love Languages at School, by Gary Chapman, Ph.D. and D. M. Freed, M.Ed. 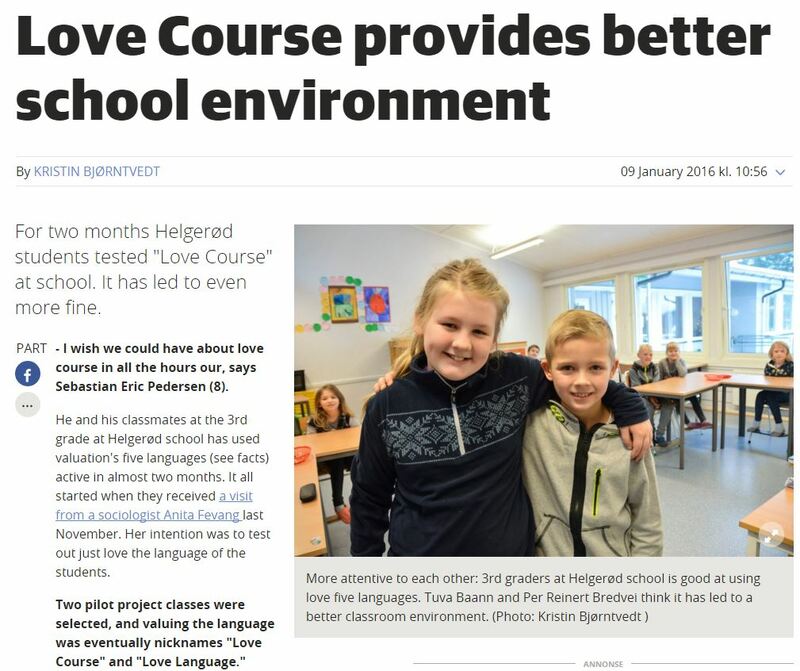 As test class, she applied the practical steps of the 5 languages of love in a 3rd class and a 5th grade class in Helgerød School in Norway. So, let’s say that your child’s primary love language is words of affirmation, then, saying “I love you” or “I love this picture that you just drew” would mean more to the child. Similarly, hurtful words like “I don’t like you”, would also hurt the child more than other children who have a different primary love language. So, in just two months and with 8 hours of working with students, their teachers, and parents, children had learned each other’s love languages and the students were found to be more attentive to each other’s needs which created a better learning environment. The children were happy that they felt appreciated in school and in their homes. The students also reported less bullying and more security. The effectiveness of applying the practical steps of understanding and expressing the 5 love languages is exactly what Anita Fevang found in just two months and 8 hours of teaching the “Love Course.” What had started as a test project has now received accolades and now Anita will also be implementing the power of these 5 love languages on teens. And this is an amazing opportunity for you to learn practical tips from Anita as she joins us live through the Educational Solutions Expo 2016 where she will share her expertise. She is one of the 21 experts in their field of learning that have come together to give parents and educators practical solutions for student success. Click here to register for this free expo, where you will have free access to each of the webinars for 24 hours, which kicks off this February 13 through February 21. Excellent article, Sudiksha! 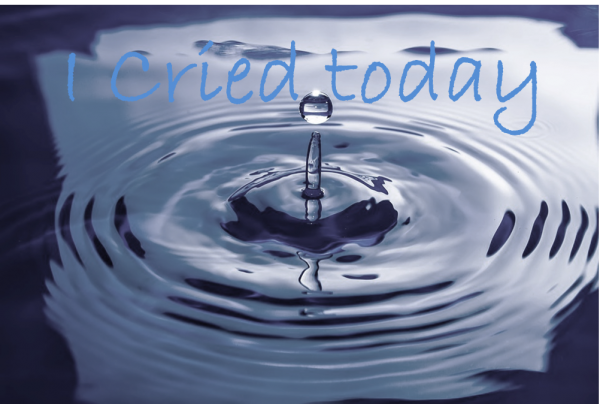 I hope it catches on; bullying in the U.S. school system has become epidemic. Well done! Thank you Paul. I do believe bringing awareness is the first step to bringing about change. I am excited of the prospects. Great article Sudiksha! When I initially learned about the 5 love languages, I only applied the concepts to adults. I failed to make the connections to children, but in retrospect, they apply to everyone not just adults in relationships. 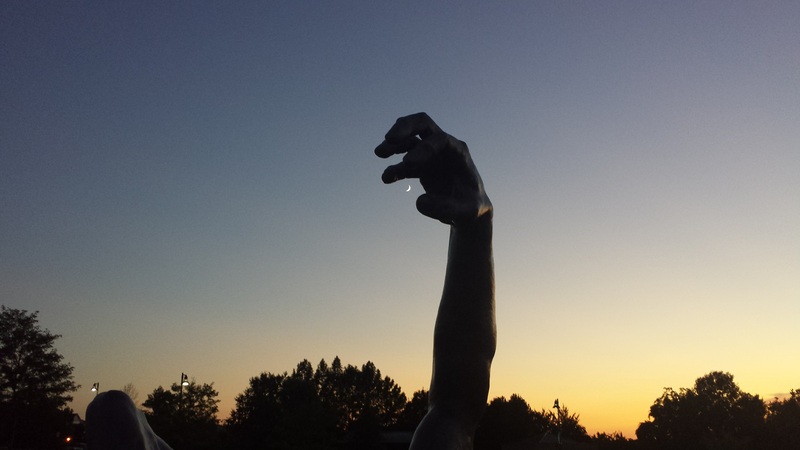 Thank you for making the connections and presenting this insightful post! Thank you Hellen. It applies to everyone. As more things come to practice, we will learn more. And our ability to learn and act in a kind manner has a lot to do with our mindset. It is an exciting time of learning and also of incorporating these findings in our own lives.